You can use your name in a good way, or you can throw it away. 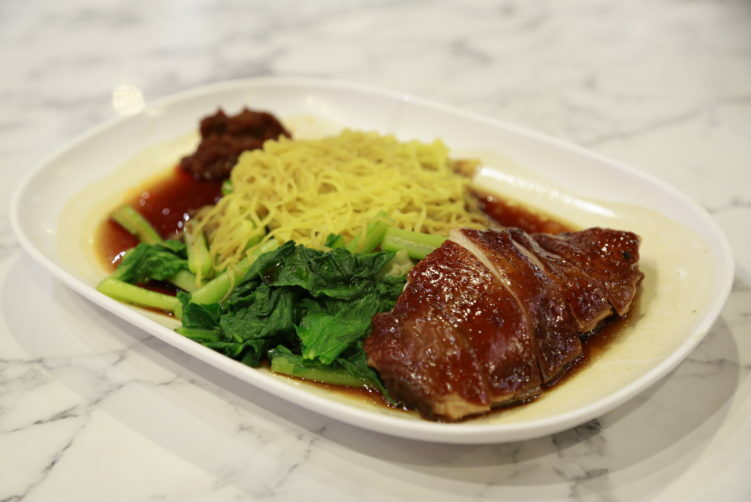 Singaporean Hawker Chan received a Michelin Star for his soya sauce chicken in Singapore. He opened a eatery in Terminal 21 to capitalize on the name. Having eaten at the original Singaporean shop, I was a bit excited. The result: A huge disappointment. Be aware that Hawker Chan at terminal 21 don’t have a Michelin star, they don’t have the Bib Gourmand, and they don’t have any other Michelin recommendation. Lastly, they will never get one either, or any other serious recommendation. The people behind Hawker Chan in Terminal 21 are capitalizing on the name that got a Michelin star for a shop in Singapore. I have no specific knowledge on how much time Mr Chan have spent in the Terminal 21 outlet, but something tells me it is next to nothing after signing the papers to let someone use his name. And if he spent time on it, he has completely lost it. Borrowing your name to a business isn’t always a good idea. Tim Ho Wan who received a Michelin star in Hong Kong established themeselves in Terminal 21 to capitalize on the name a couple of years ago. Comparing with the original shop in Hong Kong, it was a big a disappointment as well, in addition to be a wallet thief. First of all, the food at Hawker Chan doesn’t bear much resemblance with the Singaporean shop, except for the fact that they use chicken and egg noodles. The slightly spicy chili sauce is basically just sharp and off balance, adding very little to the dish. The chicken breast was cold, tasted next to nothing and was dry. That is quite an achievement when you prepare it on the bone. And the noodles? What you get is overcooked and mushy egg noodles sticking together. I had the intention of tasting some of the other dishes, but was totally turned off bye the soy sauce chicken with cold egg noodles that really didn’t taste anything. 100 bath for such a dish is a rip off in Bangkok. You can get better roasted chicken all around Bangkok. I’m glad I ordered a beer so I at least had something to feel good about. 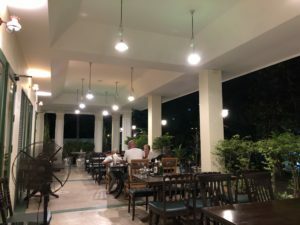 The food would have been average at best if it was warm, but Hawker Chan is not anyway near serving a decent meal when you know what you can eat in the capital of street food. 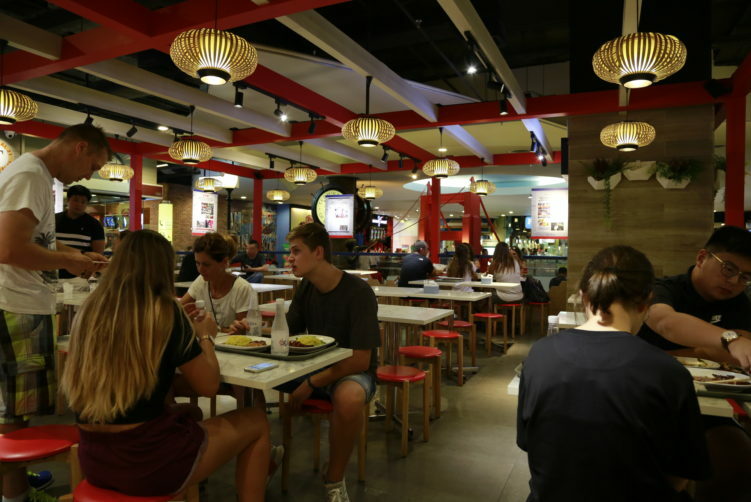 Hawker Chan is nothing more than a commercial hype that you shouldn’t pay attention to. What surprises the most is why can’t they just copy the original food served in Singapore. It’s really not very difficult food making. Anyway, it’s a much better deal both taste wise and to your wallet to go to the food court in Terminal 21 if you’re hungry. Would I go back: Not in a lifetime. The only reason to spend an article on Hawker Chan is to advice people to go somewhere else for their meals. How to get there: Take the BTS to Asok station, enter the Terminal 21 building and take the escalator until you get to 5th floor. Hawker Chan in Terminal 21 is selling their food under the name Hawker Chan that received a Michelin Star in Singapore for His soy sauce chicken. The Terminal 21 branch is nothing near the Singaporean sh0p. The Terminal 21 branch is just trying to capitalizing on the name earned in Singapore. Stay away. See full review at StreetsideBangkok.